A young cobra escaped from the Bronx Zoo. No one can find it. This is clearly a problem. 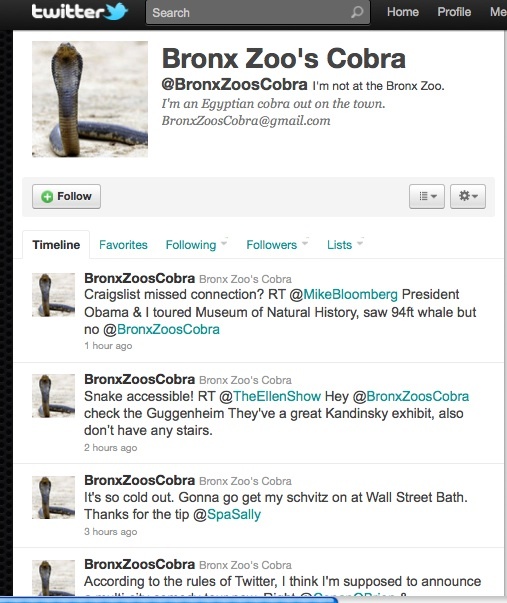 But on the funny side, someone has set up a Twitter account, speaking for the snake, about wandering around New York. It is hilarious. Read below for another brilliant thing someone else has done. 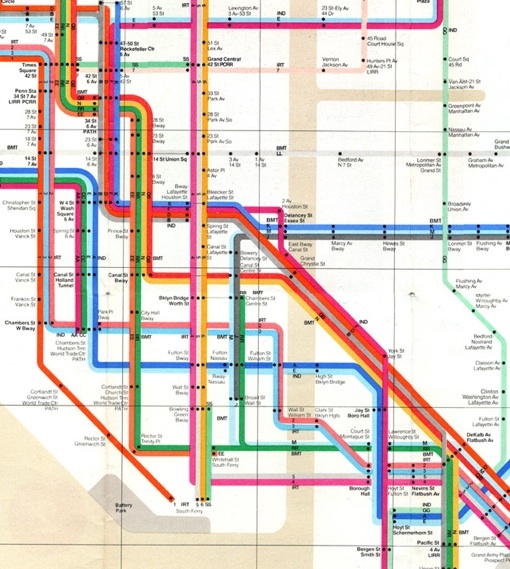 In 1972, a graphic designer called Massimo Vignelli created a map of the subway system. It’s over-simplified — trains only run at 45 or 90 degree angles, and it’s not to scale — but it’s neat-looking. You can see it here. Now, a composer named Alexander Chen has taken the map and created a musical composition out of it. 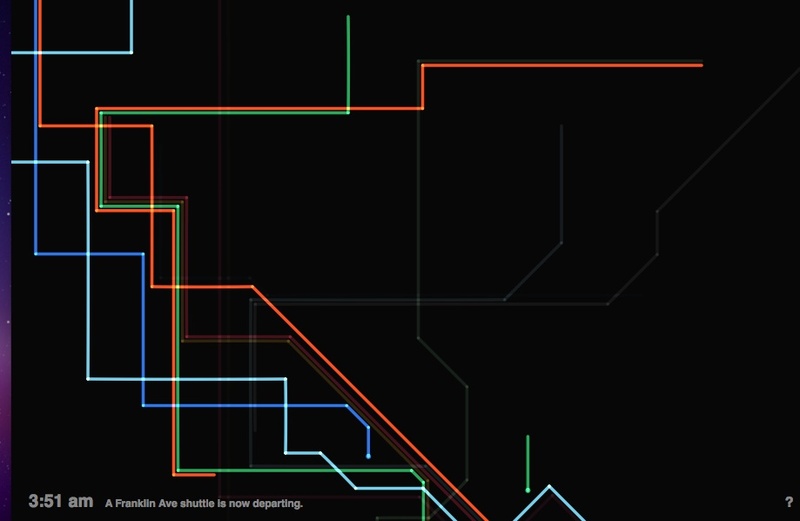 I think it’s based on actual train schedules. Minutes move very quickly on a clock down in the lower left corner, and when two trains intersect, there is a plucking, stringed-instrument sound. You can also pluck the lines yourself. a screenshot of Alexander Chen's "composition"
It’s been on ambiently here for a few hours while we make playdough, make my son dinner, and feed him while I get started on our own dinner. The “music” is vaguely Japanesey sounding. Mostly I like the idea of taking something reflective of an actual system — in this case, a map of something familiar —and setting up another system for it to follow to make noise, and then listening and watching the idea. Take a look and a listen! The piece is called www.mta.me, which is also where it is located. I’d like to note that WNYC news covered both of these things today. I only stole the second piece of news from them; the first piece is something I suggested that they cover, yesterday. So there!